Oz Conservative: Slightly seedy, bald and cauliflower-nosed bloggers? Slightly seedy, bald and cauliflower-nosed bloggers? OK - the country is full of very angry people. Many of us are angry people at times. Some of us are angry and drunk. But the so-called citizen journalism is the spewings and rantings of very drunk people late at night. It is reassuring to see Andrew Marr devouring a plate of thick, rare-beef sandwiches. He looks so worryingly iron-deficient that he should probably have them on prescription. His skin is the colour of a household candle and his body as tenuously constructed as one of those elastic-jointed wooden toys that collapse when you press the base. It is many years since his light dusting of hair was not a subject for melancholy. The former newspaper editor pointed out that established newspapers were suffering as people turn to the internet. It was a sad fact that the media would be employing fewer journalists as sales of hard copies declined, he said. Perhaps Andrew Marr should ask himself why so many people are turning to alternative sources of news and commentary. Couldn't it have something to do with the liberal bias of the mainstream media? So what are those of us who don't like liberalism to do? Isn't it likely that we'll seek out alternatives? Chris: Actually, the comfortable world of privileged and self-serving liberal dominance that allowed the likes of Marr to preclude the non-PC from the mainstream media has come to an end. This is just the dying whinge of the dispossessed. Daj: Of course Marr doesn't like Citizen Journalism, as it means that people don't have to rely on the propaganda from people like him and 99.9% of the BBC's News & Current Affairs department. Joe: Of course one advantage that Marr's 'amateur hacks' do have is that they are not in the pocket of the political establishment. Dave: I'll take citizen journalism any day of the week over the biased propaganda that Marr's been spouting all his working life. I wouldn't go so far as to claim that the mainstream media is dying. It remains a powerful influence on society. But it's a lot more possible now than it was 20 years ago to get alternative political commentary. 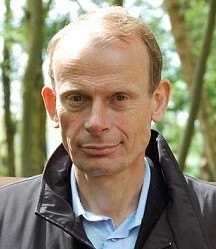 And that is something that Andrew Marr, with his ill-chosen taunts, clearly finds unsettling. This "angry" thing is used by the commentators to dismiss their opposition as mindless opposers. A good example is the Tea party in the US. I don't follow the politics of the Tea Party closely but it seems that they’re concerned with public debt, large government, immigrants, and other economic matters. What they often say however is that they want a return to the original principles of the constitution and liberty. I don't entirely know what that means, but I am in favor of less debt, fewer immigrants etc. If they were more open in their concerns the message would be more coherent and less "angry". This discourse is used because saying "anit-immigrant" publically is immediately attacked, and saying "no more change" labels you a social enemy. In such an environment the press can hardly blame people for looking for an alternate language of expression, although it can be confusing. What the commentators are willing to admit to is that social "anger" is a product of economic instability. What is needed is a better economic package, or social welfare net, and then people wouldn't "look for” or “turn to” things to be upset about, ie as they say, immigrants. What is also evident, and this is more than just evidenced by the existence of bloggers, is that there is substantial political instability in Western countries at the moment. A greater desire to look for new ways of doing things, reevaluate assumptions, or "throw the bums out". Its not surprising that there should be instability when the dominate groups have spent the last few decades deliberately attacking and undermining our/their own institutions and culture. I wonder how long it will be before journalists have to be 'registered' and professional members of some Journo association. Mr Richardson writes: "it's a lot more possible now than it was 20 years ago to get alternative political commentary." Yes, but it isn't a lot more possible now - or, in 99% of cases, possible at all - for people to get paid for writing alternative political commentary. And this is why, for every Mark Richardson or Steve Sailer who brings genuine intelligence and scholarship to the practice of blogging, there are thousands of illiterates whose blogs no more deserve audiences' attention than do the self-satisfied Andrew Marrs of this world. Every argument that can possibly be made for blogging-style Citizen Journalism can be made for, instead, the maintenance of serious "little magazines." These magazines are more likely than the average blog to have some sorts of grammatical and orthographic quality controls. They are also more likely to offer money to contributors, and without the offering of money to contributors, the cranks will sooner or later dominate. I think this a large reason why the msm is in such significant decline today. Liberal bias alone cannot account for said decline; the concomitant corruption of the *quality* of reporting and writing is similarly outstanding in its negative effect. "Here Lawrence Auster points out a tick of modern journalism, the abstract context in a vacuum:"
Yes its not just the political focus its the condensation of the news, attempts to get emotional "human hooks" and excessive reliance on the immediacy of images and fast turnover as well. While I agree that the MSN deserves to lose its monopoly over quality, both the MSN and alternative media are facing a funding crisis. The Internet is seriously eroding the profitability of mainstream media, but as Walter points out, it's not generating much income for the alternative media either, a problem which stems from the limitations of internet advertising. Of the four forms of media, I'd actually say radio was the most profitable, thanks to its semi-monopoly over access and the fact people can listen to it while doing other things. If access was a bit easier I'd start my own radio station rather than blog as a occassional amateur. Lead ph, I agree there are some shockers, but the biggest problem isn't so much illiteracy, as a lack of coherency or originality. Many blogs actually just say what the MSN does, but more rudely and with more interruptions to discuss random issues. For example, while I don't make any great claims for my blog in terms of writing quality or research, I do at least try to be concise and original, and not wonder off topic. Is that a Freudian slip or what?